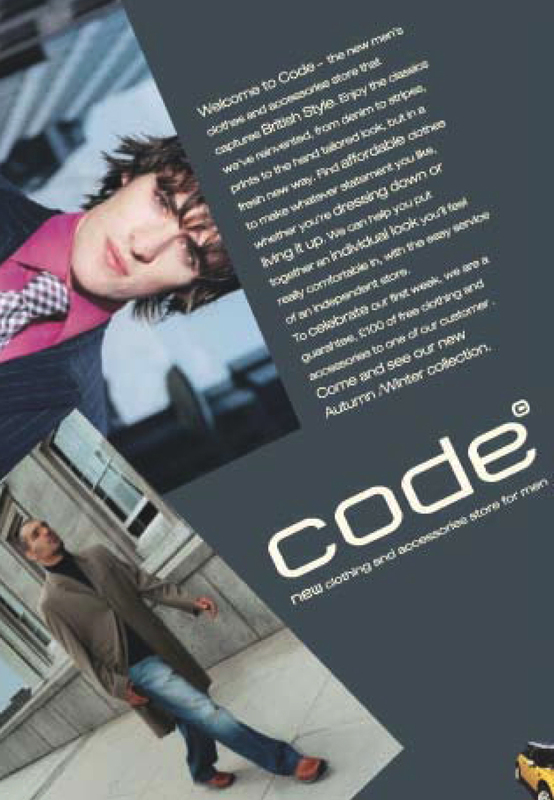 Code was a sub-brand of Moss Bros, a gentlemen’s clothing retailer with several brands in its portfolio. 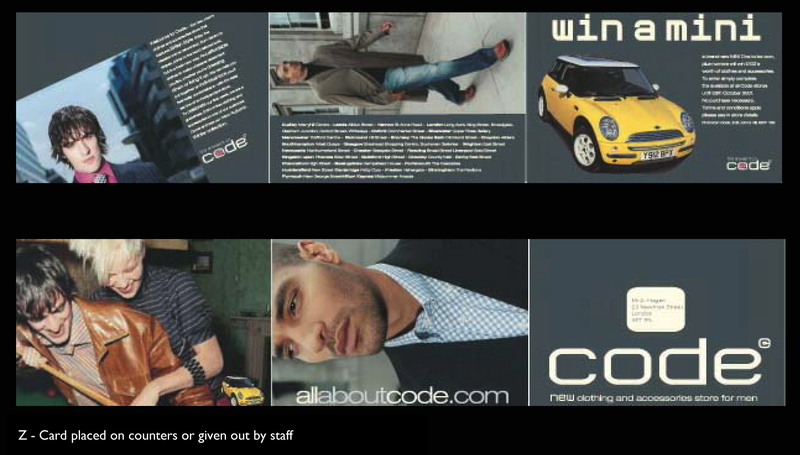 Code was set up to produce affordable suits and casual clothes for men. 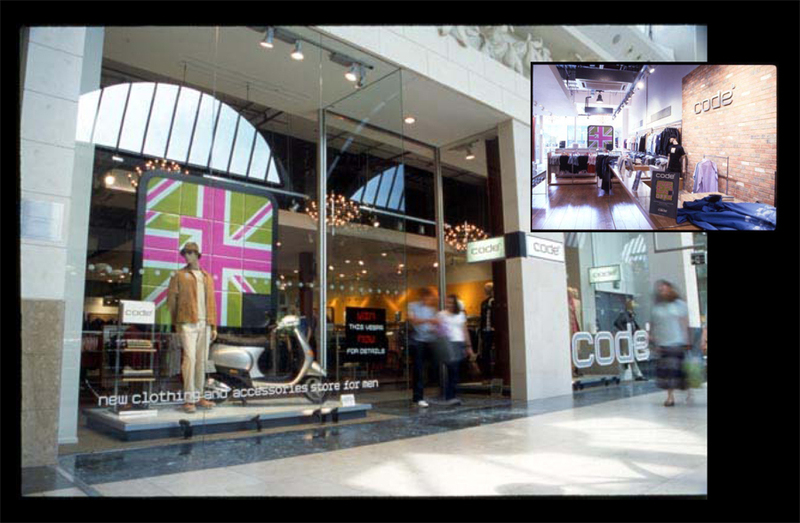 The ultimate task was to create a brand from scratch, including stationery, promotional material, advertising, shop fronts, interiors and general communications collateral. 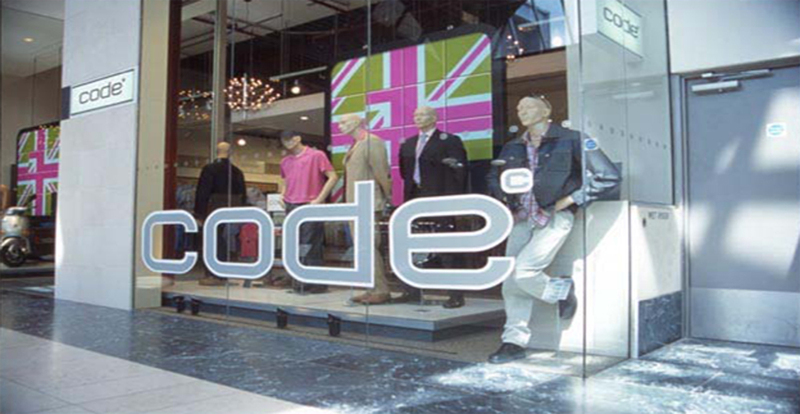 Code had two parts to it – smart, affordable suits and mid-range casual clothes – so it was therefore launched in two phases. 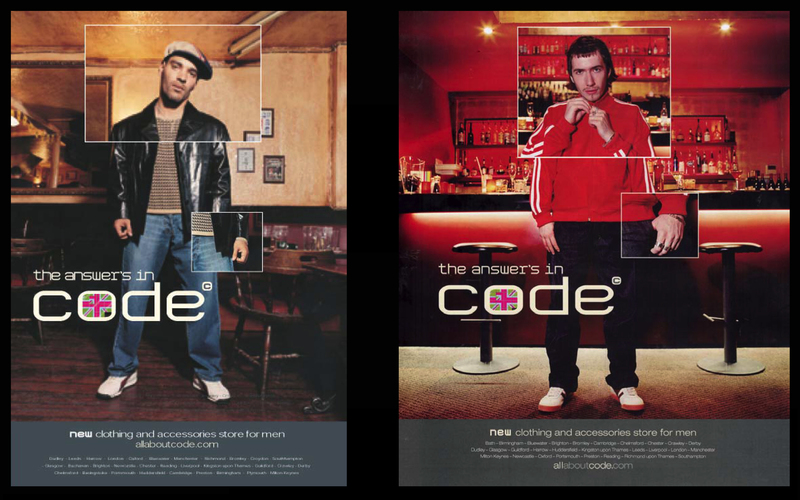 To create a distinct concept and buzz around the brand, I developed a puzzle element as part of the campaign identity, to signify that the brand was for the thinking man. 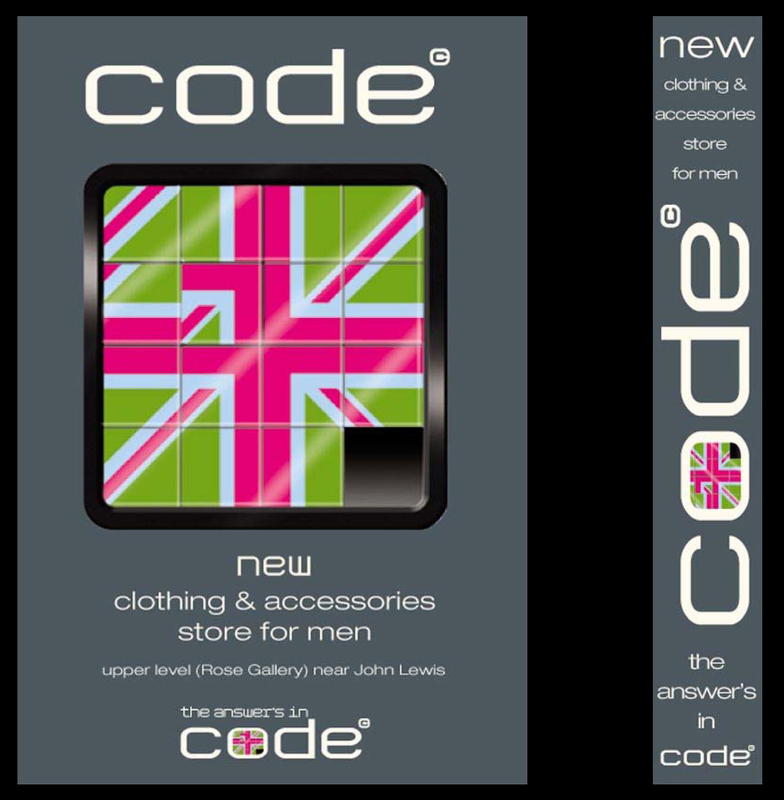 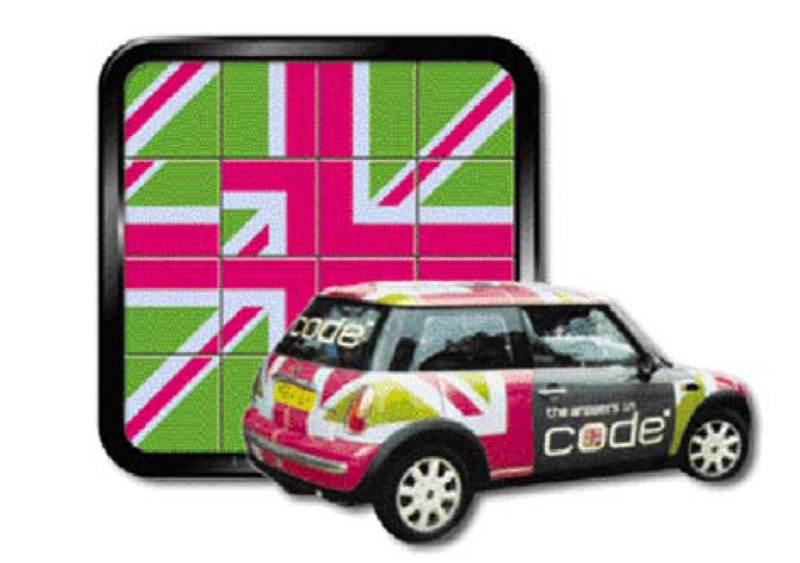 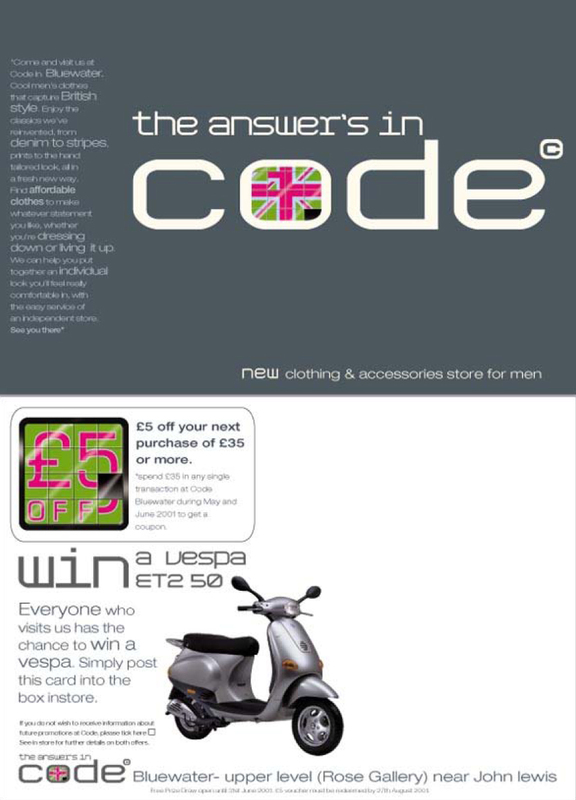 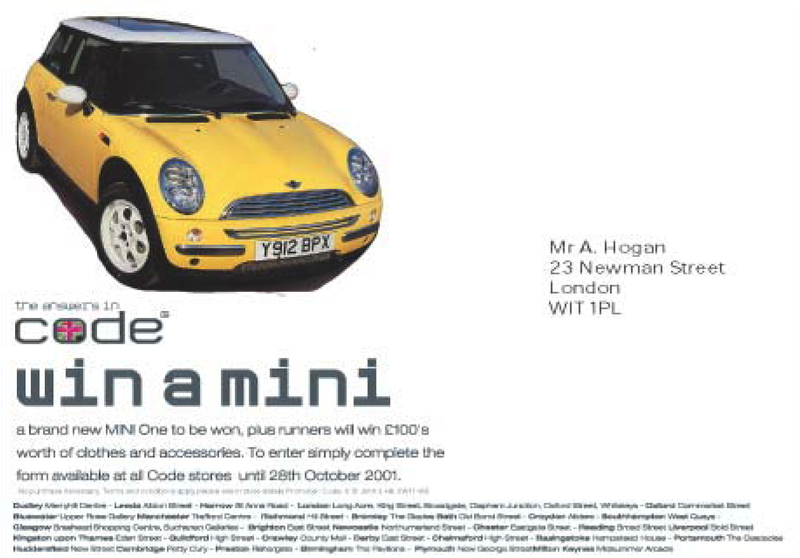 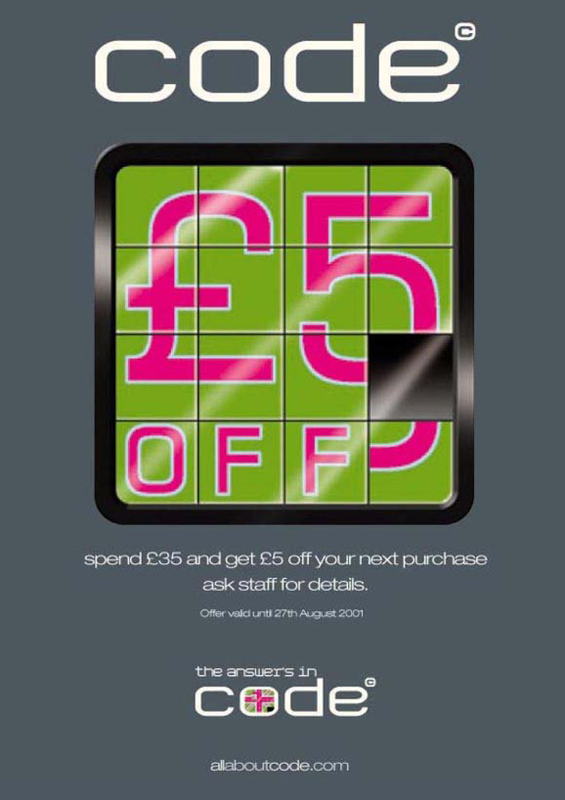 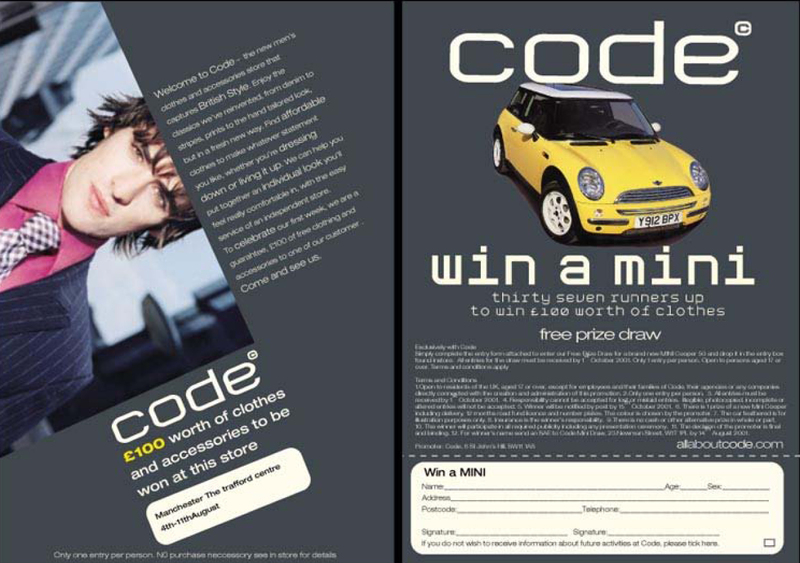 The following examples show a range of items created to launch Code and encourage sales.